Hear what people are saying about their Welna experience! This is a fabulous neighborhood hardware. You get immediate, prompt service upon walking in. Emily was great to work with and and provided superb customer service. She helped me find the new door hardware I was looking for and keyed a new lock. 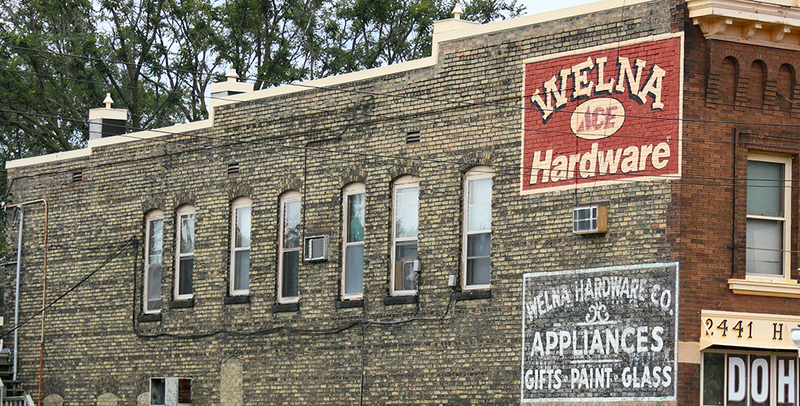 Welna has everything that I need for my general home repairs, and at fair prices. The staff is knowledgeable and friendly, and they've helped me talk through projects many times. It's the kind of business that feels good to spend money at. LOVE this hardware store. They have been a huge asset to the local community here in Phillips. The employees are friendly, knowledgeable, and honest. Feels good to keep commerce in the neighborhood, and support the employees who do such a great job keeping us supplied with what we need. I hope they remain here for a long time to come. This is my favorite hardware store in S. Mpls, due to it's family-owned operated nature. For the 10+ years that I have been frequenting this store I've never left feeling not sufficiently helped in what I was looking for. Naomi in the key dept. is the best in re-keying locks and deadbolts and their duplicate key service is super cheap. Mark always wears a smile and has a vast knowledge of hardware applications. And okay, I'll admit it, I've gone in there a couple times just for the bag of FREE fresh popped popcorn!